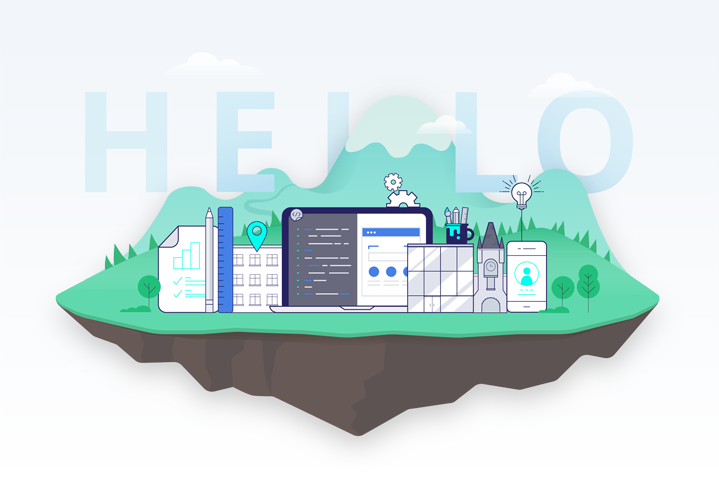 Land of Web is a friendly and talented team who believe in coming up with original ideas and turning them into digital products that are both innovative and measurable. We were approached to design a new website for the company to help them better engage with their audience. Based on its name, “Land of Web”, we came up with the concept of a land or a floating island occupied with things related to their identity. The final product is of course, mobile-friendly and responsive, everything is easy to access and enjoy on any device. To show their services, we designed a suite of custom illustrations and represented each one as small, separate floating islands. As a part of the branding project for LoW consisted also of designing marketing materials. 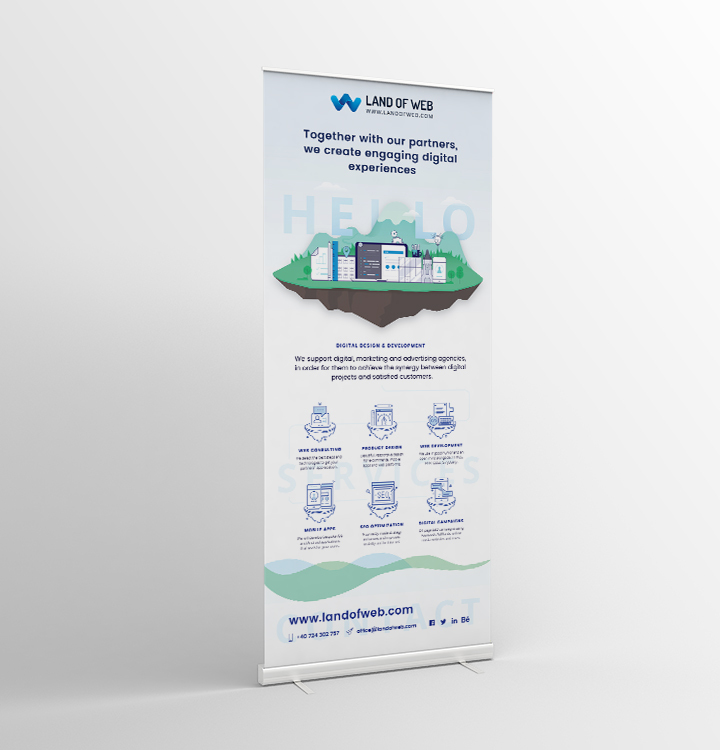 Here is their roll-up design.